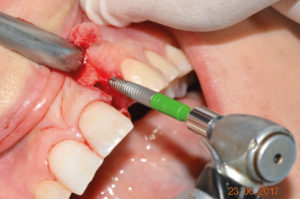 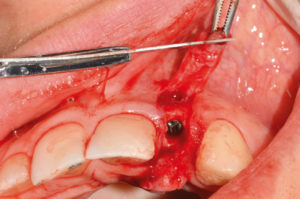 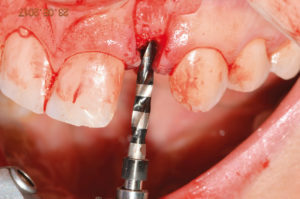 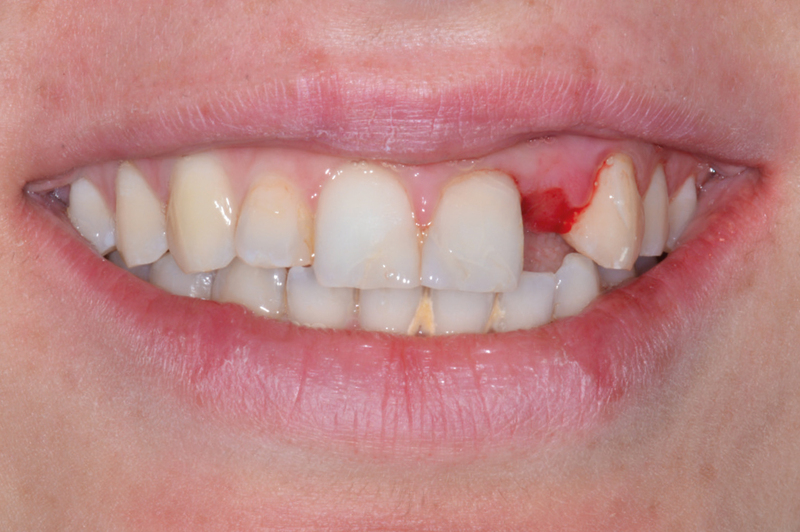 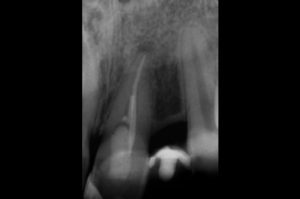 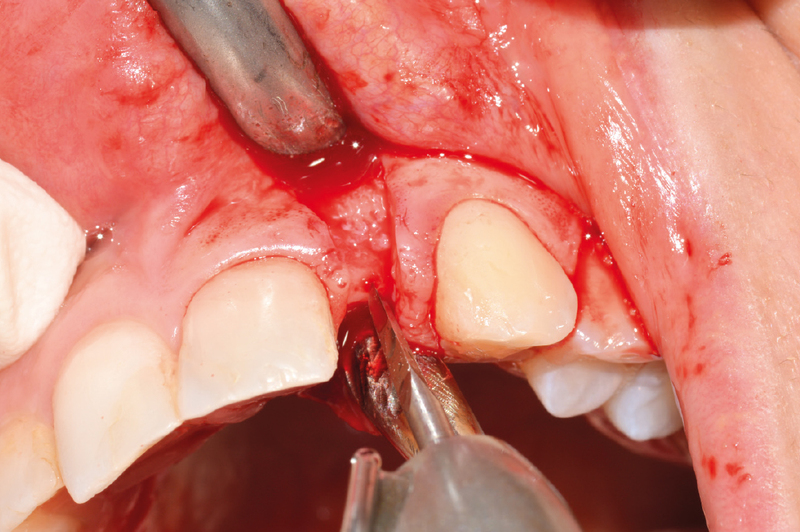 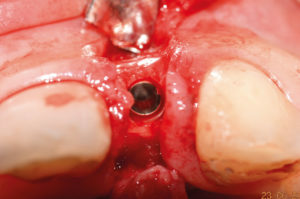 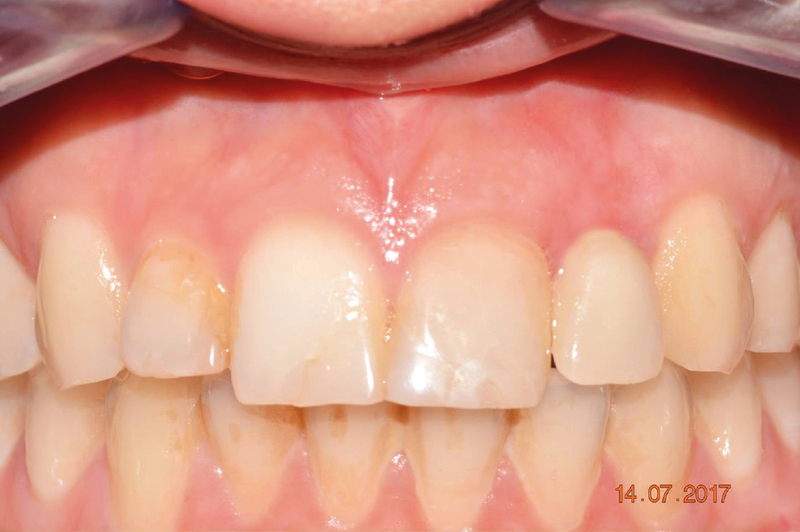 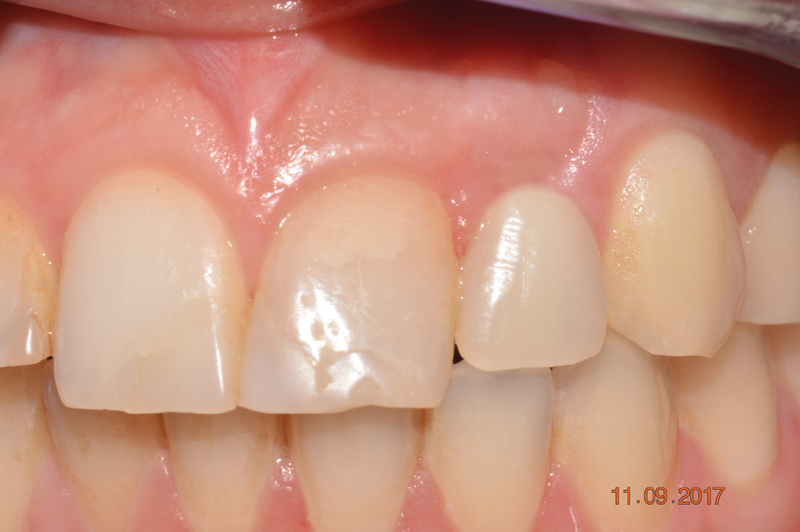 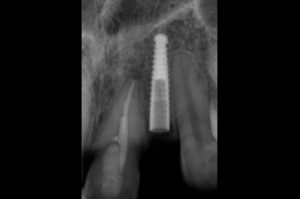 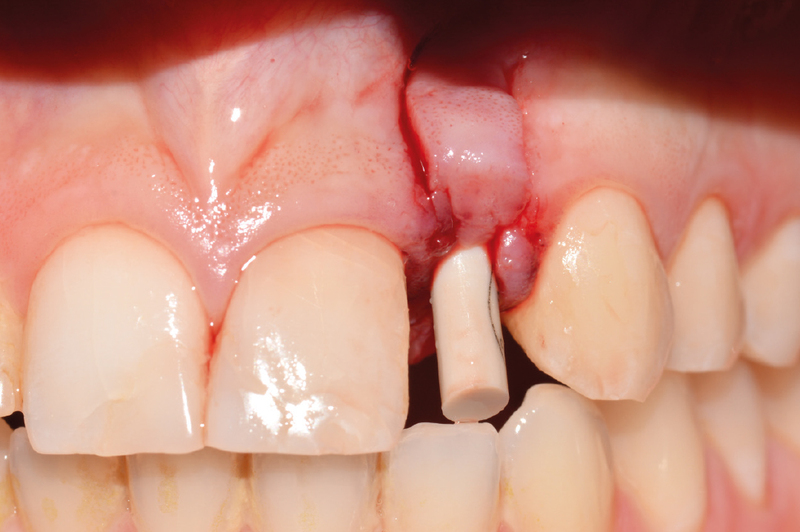 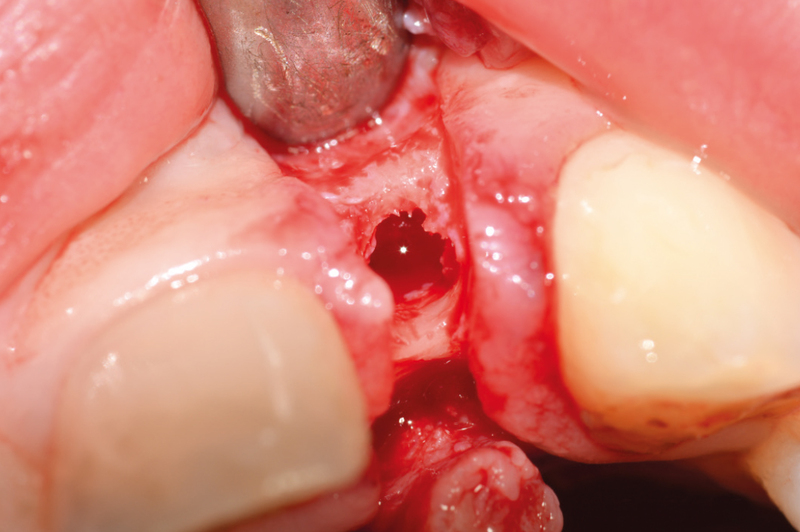 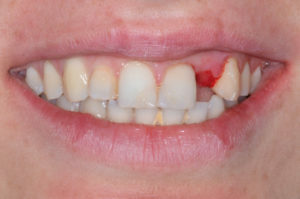 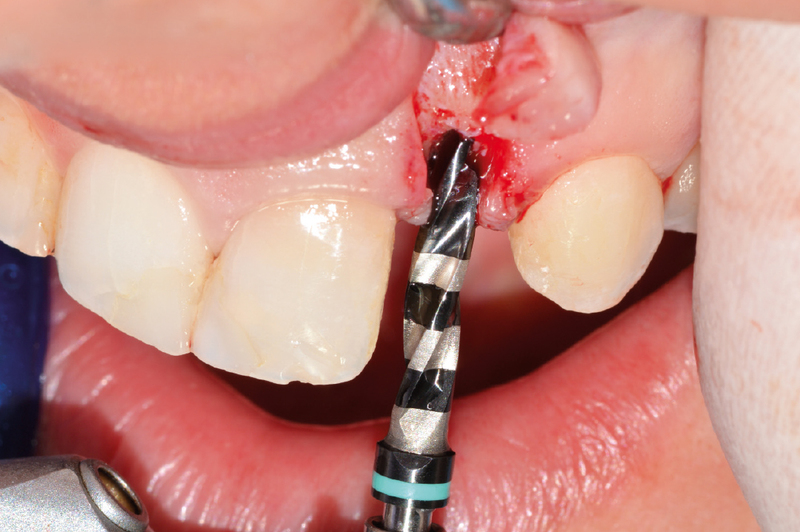 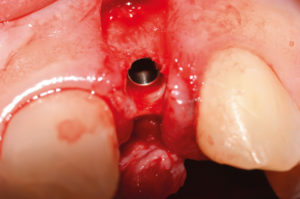 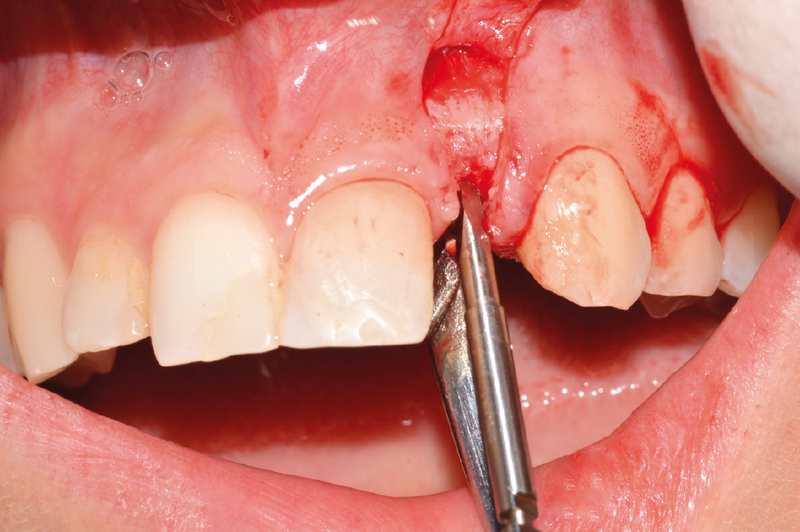 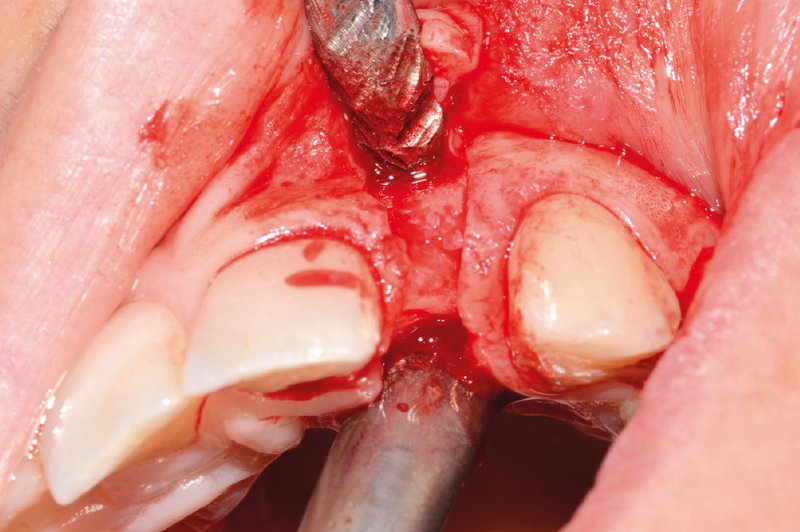 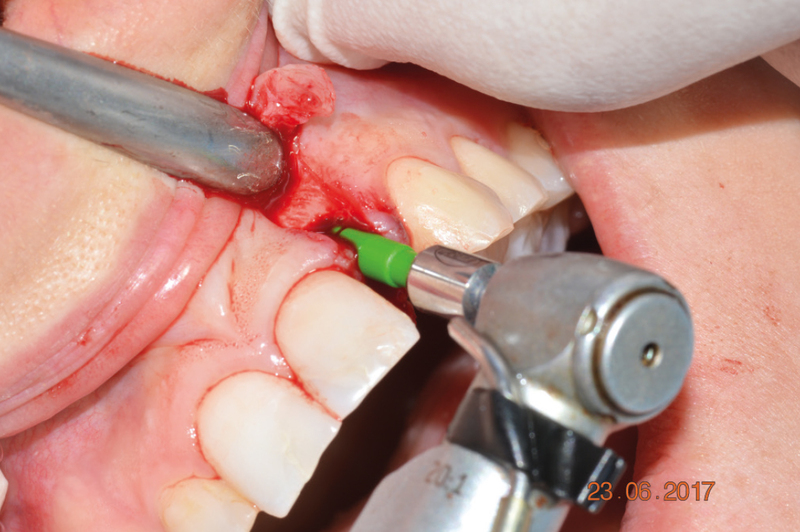 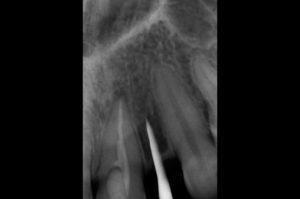 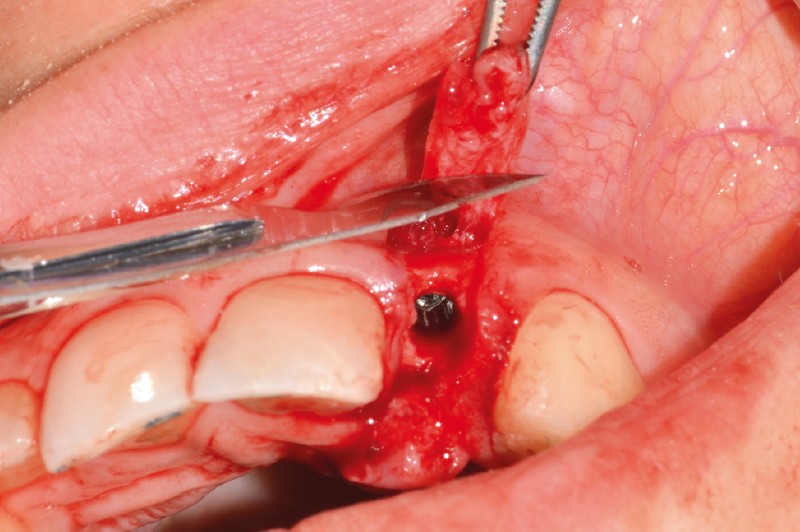 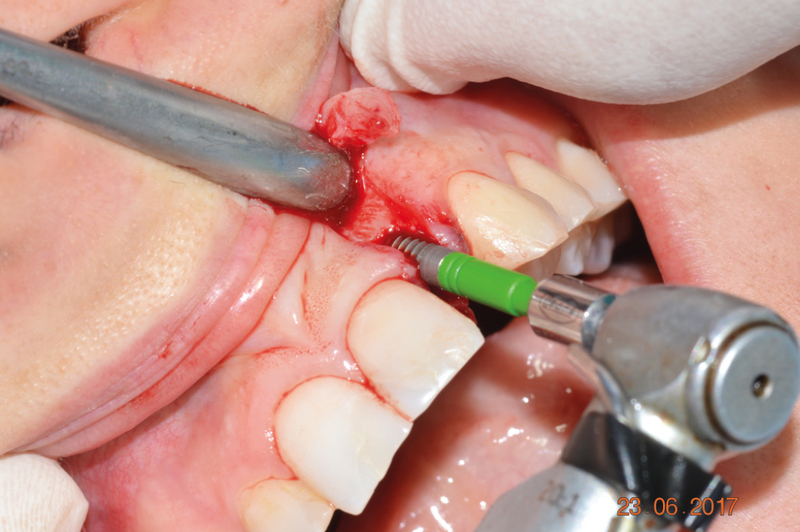 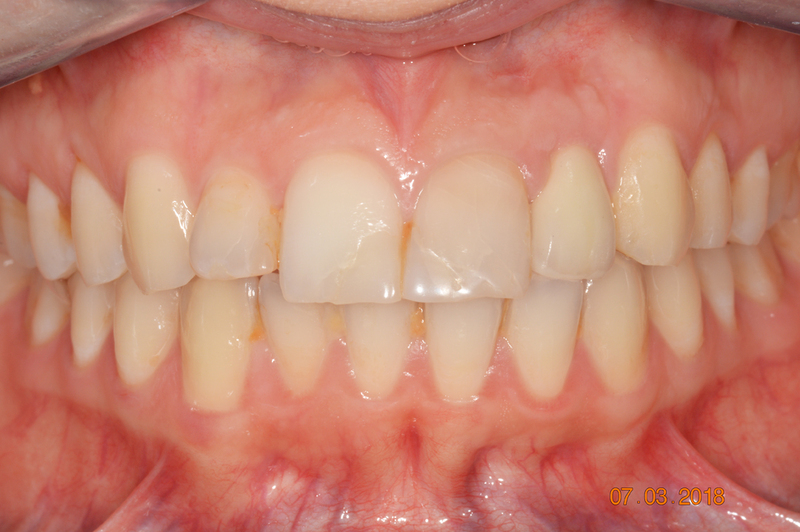 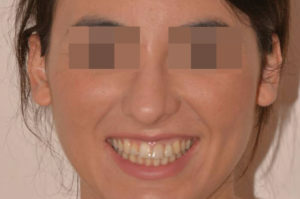 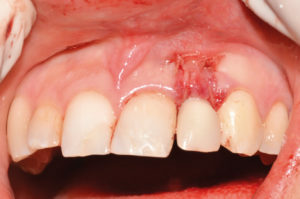 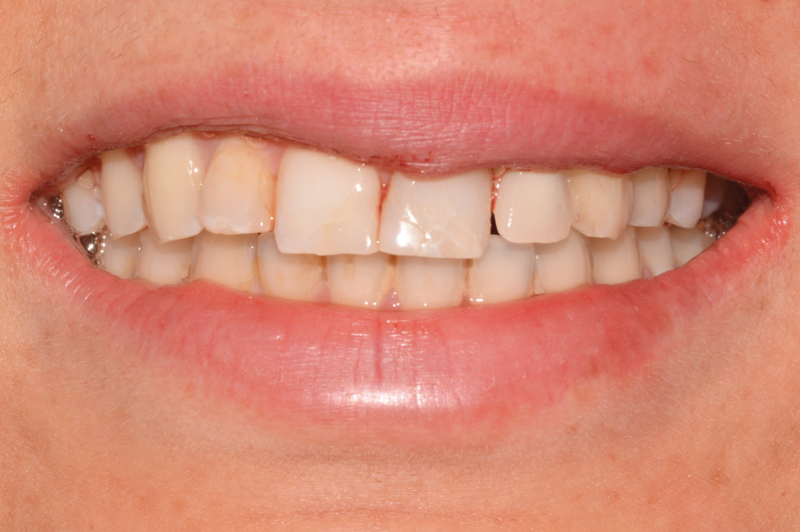 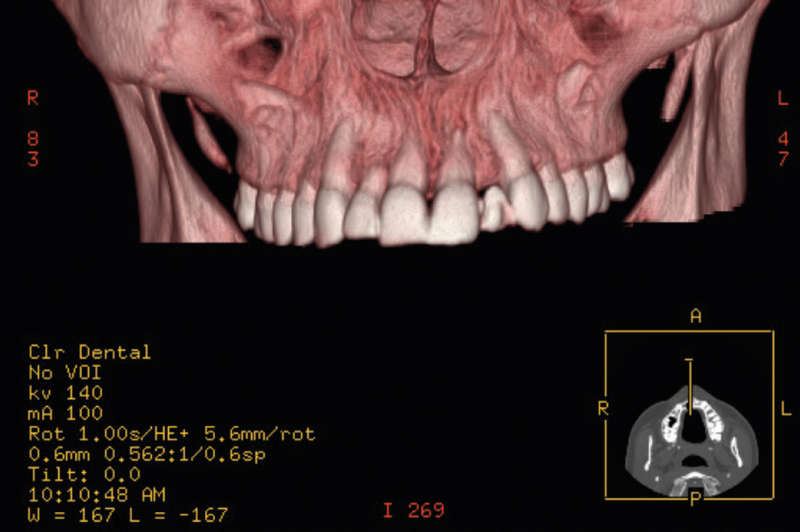 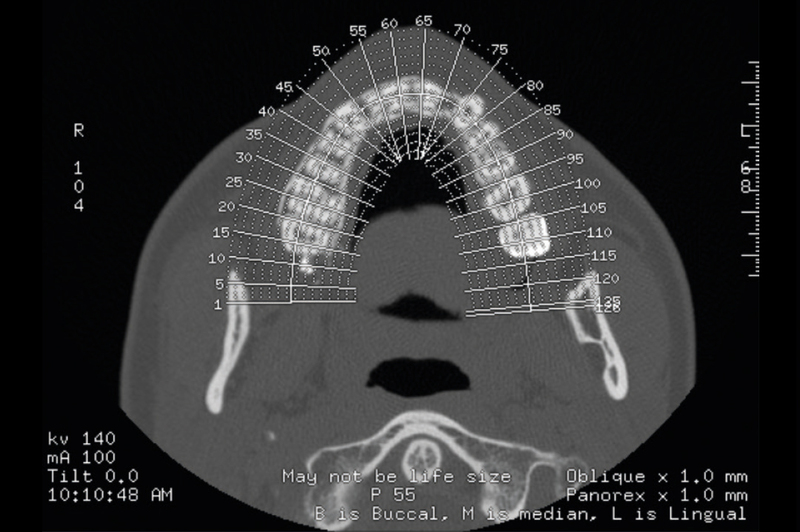 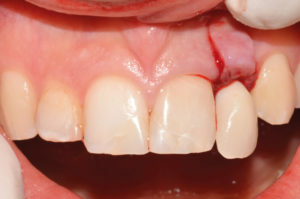 This case demonstrates the placement of a 2.9 x 14 mm Leone implant for the replacement of a congenitally missing maxillary lateral incisor of a 22-year-old female after orthodontic treatment. 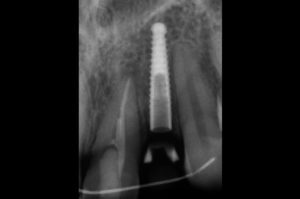 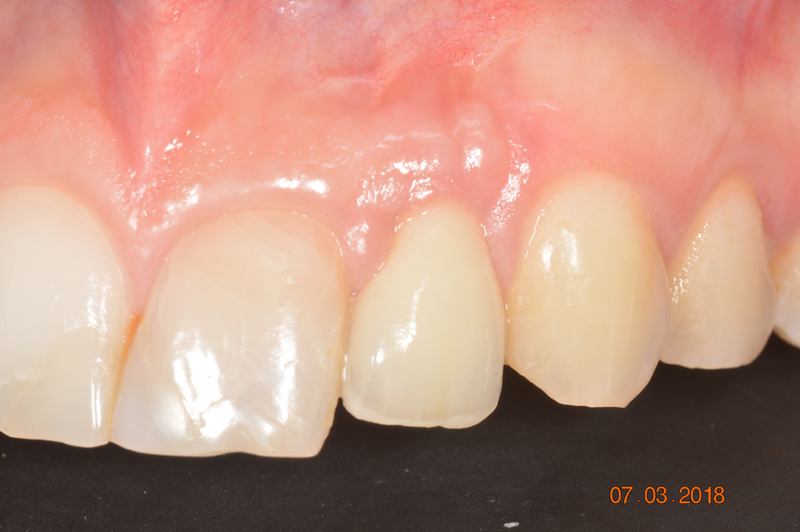 Immediately after placement the implant was restored with a provisional crown and a temporary abutment. After 7 months of healing, an implant level impression was taken for the fabrication of a zirconia crown on a prefabricated cylinder abutment. 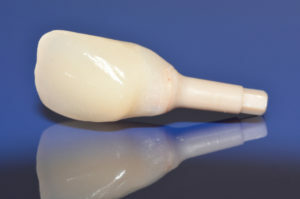 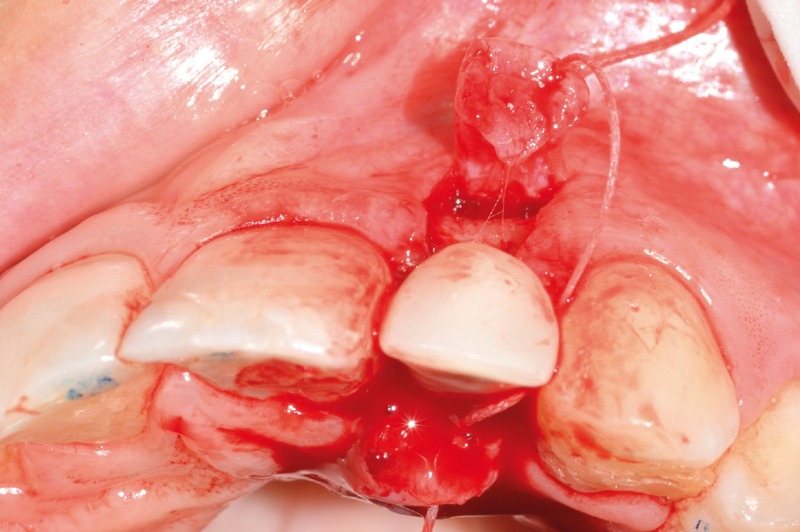 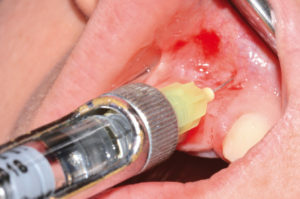 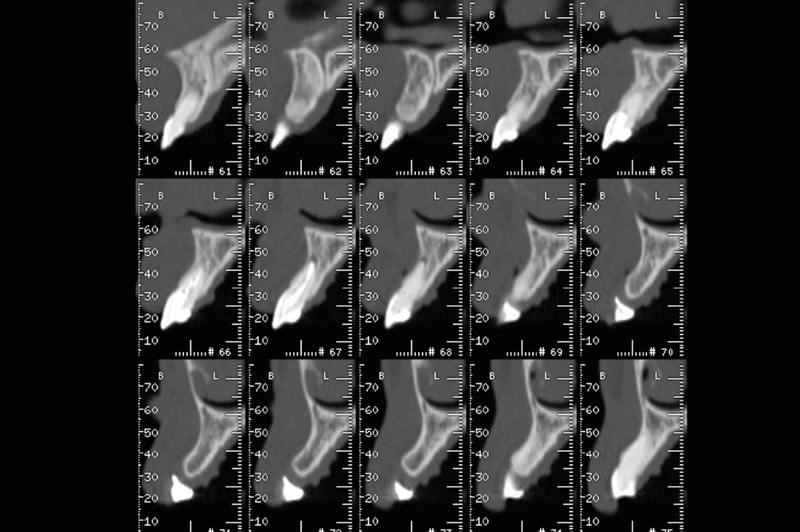 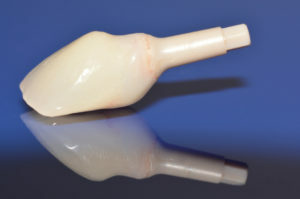 1-week clinical follow-up after delivery of the final crown shows stable and healthy peri-implant tissues; an ideal interproximal papilla height has been created. 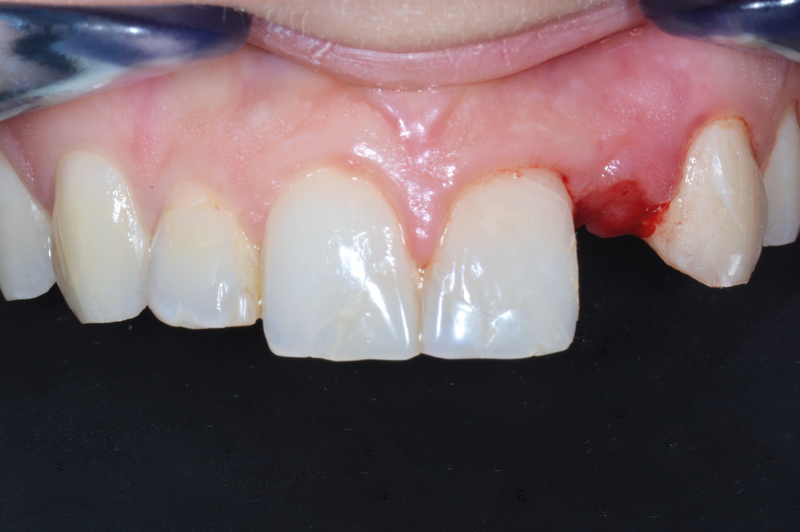 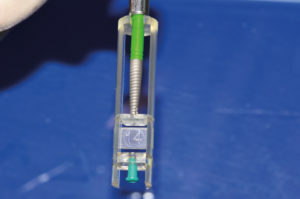 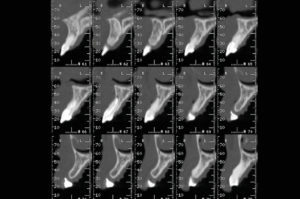 1-week clinical follow-up after crown delivery shows healthy and stable peri-implant tissues; an ideal interproximal papilla height has been created.